The First Civil Rights Era! 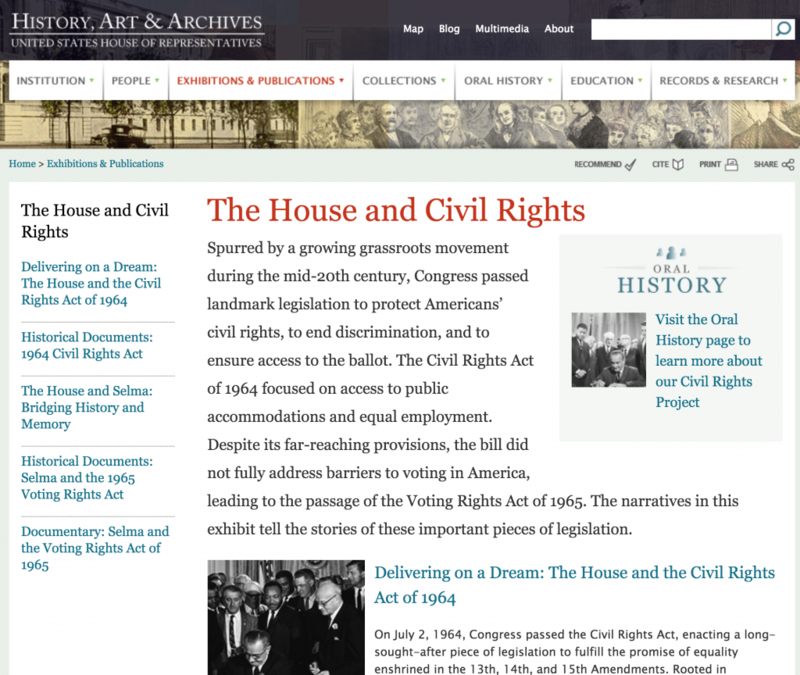 The true history of Civil Rights in America is being buried: As evidence, note the US House of Representatives own History link to “Civil Rights”. It ignores the first Civil Rights Era and the first 110 years of history jumping straight to 1964. Americans need to understand our complete history of civil rights, the Democratic Party’s dark role, and the Republican Party’s civil rights fight begun at its birth in 1854. Where is the truth of who these “Southern Whites” were? They were the militant arm of the Democrat Party! 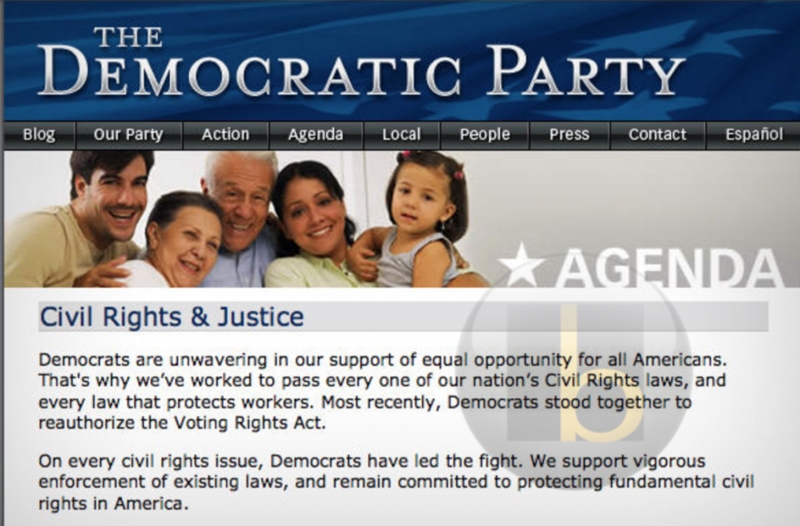 The strongest example of the Democrat Party’s historical whitewash is shown in the 2010 screenshot from their Party’s website. The site has since been rewritten. Screenshot of Democrat Party Website circa 2010, clearly showing the Democrat Party’s effort to hide their racist history. Developed confiscatory/progressive taxation system, now taking something from everybody. Don’t forget the democrat driven tax rates of 80-90%. End state, take everything from everyone, distribute as they see fit. From slavery through modern progressivism, Democrats have always stolen the fruits of peoples labor. Now, working to enslave Americans to the all powerful progressive state. Modern Democrats contort our Nations Birth and our Constitution to denigrate America’s founding, and cover the racist history/nature of their party. Conserving the promises of liberty, freedom (political/economic/thought and religion), personal responsibility, justice (justice of rights (equality under the law), economic allocation i.e. free market capitalism). Republicans always stood for letting people keep what they produce and earn. Republicans have always been the party of women’s rights and minority rights. *Dred Scott: Dred Scott v Sanford, 60 U.S. 393 (1857) is universally considered the worst decision in the history of the Supreme Court’s. In 1857, a Democratic Party dominated Supreme Court (7 Democrats vs 2 Republicans) handed down the infamous Dred Scott decision (7 to 2, all Democrats in the Majority), declaring that blacks were not persons or citizens but instead were property and therefore had no rights. Both Republican Justices (Justice John McLean and Justice Benjamin Curtis) opposed the majority and voted in favor of Dred Scott, an enslaved man, and his “God-given rights”. NOTE: In 1865 President Abraham Lincoln was assassinated by confederate sympathizer John Wilkes Booth. President Lincoln’s Vice President and successor was Democrat Andrew Johnson. 2 Black Codes: Furious over Republican passage of the constitutional amendments and civil rights legislation, southern democrats passed the infamous “Black Codes” (1865-1866). “An Act to protect all Persons in the United States in their Civil Rights, and furnish the Means of their Vindication. Assassination: 1868 – Republican U.S. Representative James Hinds (R-AR), a strong supporter of reconstruction, was assassinate by the KKK, and state Representative Joseph Brook was seriously wounded. The assassin was George A. Clark (D), Secretary of the Democratic Committee of Monroe County, AR who shot Hinds in the back with a shotgun.” Clark was never arrested or prosecuted. Congressman Hinds was the highest ranking government official to be killed during reconstruction. *Freedman’s Bureau: 1865-1872, a US Federal Agency within the War Department established by President Lincoln, supported by Republicans in Congress to Force Southern States to Comply with newly enacted freedoms for blacks during the Reconstruction era. Justice Department: 1870, Established by Republican President Ulysses S. Grant to fight the Democrat Party’s KKK. 1st Black Senator: 1870, The Reverend Hiram Revels from Mississippi becomes the first person of color elected to the Senate, and he was a Republican. 2nd Black Senator: 1875, Blanche K. Bruce from Mississippi becomes the second person of color elected to the Senate, and he was a Republican. NOTE: No other person of color was elected to the senate until 1967, when Edward Brooks, another Republican, was elected from Massachusetts. Did The Parties Switch Sides?